We all have a picture in our minds of an “entrepreneur.” In startup world, that picture usually involves pizza, Red Bull, and a hoodie. We also have a picture of “success.” If you’re in software, chances are good you’re dreaming of an Instagram-level exit or the infamy of Uber. Most of us rarely dream in miniature, and even when we accept the reality that those experiences are few and far between, they’re still in the front of our minds. 1. According to Kauffman, the number of women entrepreneurs grew in 2013. 2. 95% of entrepreneurs have a bachelor’s degree or higher, despite the recent PR for dropping out of college to startup. 3. And, they aren’t also-rans. 67% ranked their college performance in the top 30% of their undergraduate classes. 4. 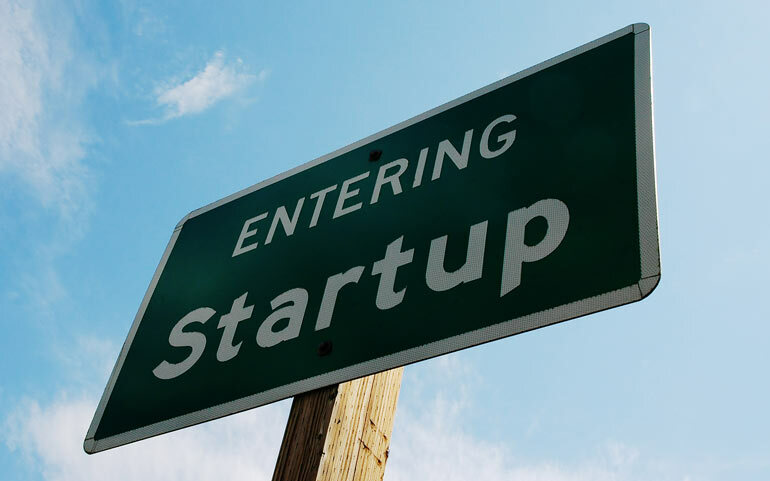 70% of founders are married when they start up, and 60% have at least one child. 7. California’s share of America’s $100 million tech companies is declining. In the 1990s 35% of new, successful tech companies were in California, but today it’s only 20%. 8. Of all startups, information companies are most likely to fail, with only a 37% success rate after four years. 9. The industry with the highest success rate? Finance, insurance, and real estate. 58% of these businesses were still operating after 4 years. 10. Premature scaling is the most likely reason you’ll fail. Don’t get ahead of yourself! 11. If you charge for your product, traditional marketing (instead of social media) may be the way to go. 12. Tech companies are popping up more rapidly than other small businesses. 13. 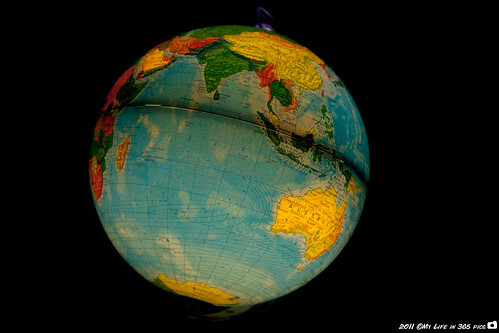 For the last 20 years, the US has produced between 125-250 $100 million companies a year, despite economic changes. 14. 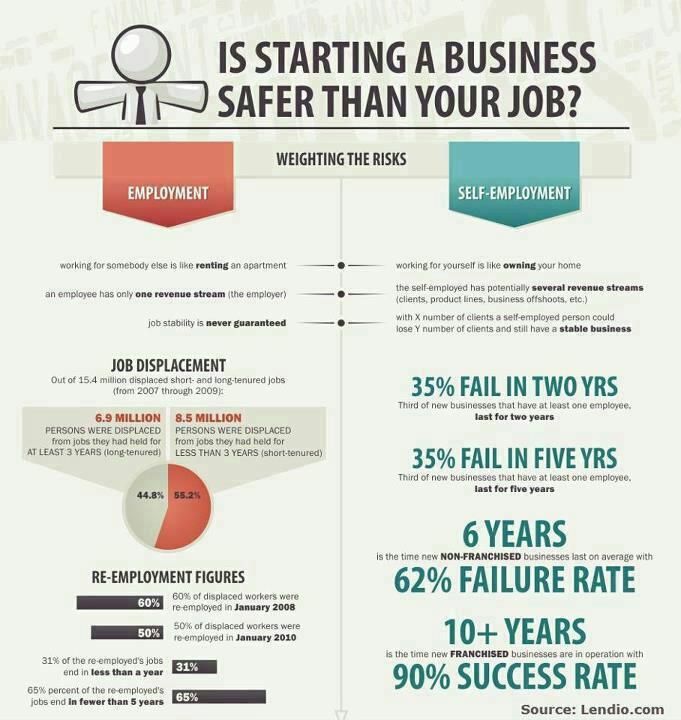 It’s safer to start a business than stay in a job. 15. The average founder salary is less than $50,000/year. 17. Balanced teams of 2 are the best combination. They raise 30% more money, have almost 3X the user growth, and are 19% less likely to scale prematurely. 18. Starting up is hard. Yeah, I know this isn’t “surprising,” but it’s the kind of thing you think you know until you do it. Then you REALLY understand that there are few things as difficult, challenging, and awesome as building a business from the ground up.